Welcome to Jacksonville/Onslow County, where heroes are our heritage and the great outdoors is our playground. From historical memorials and museums to our amazing water recreation, top-rated golf courses, unique shopping, and agritourism attractions, adventure awaits! We’re one of North Carolina’s oldest counties and home to Marine Corps Base, Camp Lejeune. 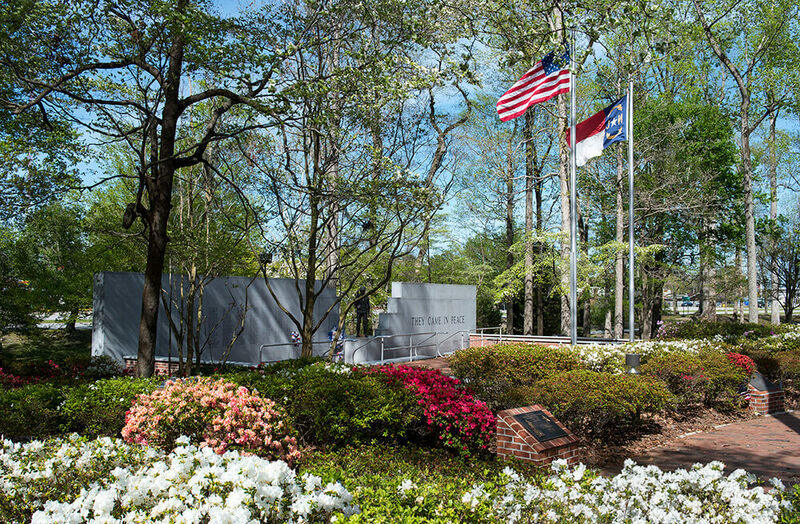 Feel your patriotic spirit in Jacksonville at Lejeune Memorial Gardens, a gorgeous, yet quiet and retrospective landmark nestled amidst the North Carolina pines, dotted with azaleas blooming with amazing color in the springtime. There are several memorials that honor our veterans. The Beirut Memorial is dedicated to those who lost their lives in 1983 in Beirut on a peacekeeping mission. The 9/11 Memorial is a piece of the Twin Towers and was brought to Jacksonville to thank Marines for their service. The Vietnam Memorial is only one of two in the United States that lists the names of every person lost. The newest monument is the Montford Point Marines Memorial that honors African American Marines that served the country during World War II. 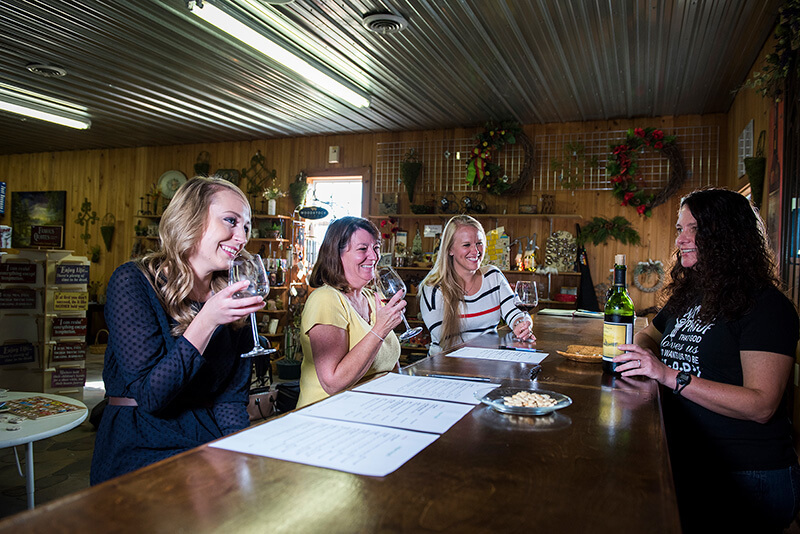 A local favorite, Mike’s Farm is a great place for groups to enjoy a family-style dinner with some of the best home cooking in eastern North Carolina. The farm has events and agri-tours running year-round as well as an amazing gift shop and onsite bakery. Tours and tastings abound along our Whiskey, Wine & Wonderful Eats Tour that includes Huffman Vineyards, a small batch winery with a large and beautiful tasting room with muscadine, vinifera and fruit wines ranging from sweet to dry, as well as Walton’s Distillery, one of the top distilleries in Southeast North Carolina, making some deliciously flavored moonshine and corn whiskey. Be inspired by the beauty of Historic Downtown Swansboro, a quaint coastal town with over forty unique shops and restaurants. Between April and October, Swansboro’s Hammocks Beach State Park is a great place for groups to enjoy a 40-minute round trip ferry ride to Bear Island for a peaceful walk along the white sandy beaches and an afternoon of shelling. Or, check out Lady Swan Boat Tours for a group sunset cruise or a history tour on the White Oak River. A day at North Carolina’s top-rated North Topsail Beach is a captivating experience. Groups enjoy the quiet, laid-back vibe as well as dining while overlooking the ocean views. Adventures await in Onslow County! Visit www.onlyinonslow.com for more information about planning your unique group tour.